Visitation: 12pm – 2pm – Saturday at the chapel. Edith Combs of Hyden, was born July 05, 1928 in Hyden, Kentucky to the union of the late Brack Combs and the late Opha Lewis Combs. She was a homemaker and had been a life-long resident of Leslie County. In her formative years, Edith worked at the “Big House” at Wendover for Mary Breckinridge. 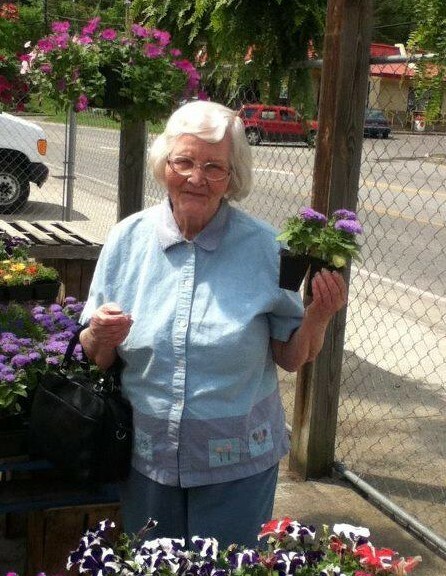 She could be described as a kind, caring, and loving lady whom loved her family and church. She was a devoted member of the Hurts Creek Church of Christ. She enjoyed reading, cooking and knitting. Her greatest joy came from going to church, spending time with her family and her dogs, Milo and Wendy. Edith passed away on Friday, January 18, 2019, she was 90 years old. In addition to her parents, Edith was preceded in death by four brothers, Edd, Merril, Woodrow and Jerry Combs, one sister, Dorothy McKnight, and one infant sibling. Edith leaves behind, her beloved daughter, Lea Combs of Hyden, Ky., one brother, Dennis Combs & Bessie of Hyden, Ky., two sisters, Linda Day of Hazard, Ky., and Carolyn Sandlin & Philmore of Hyden, Ky., one cherished granddaughter, Dina Combs of Hyden, Ky., her nephews, Brack Day, Paul Dean Day, Robert Day, and Jamie Johnson. Also, a host of other family and friends survive.